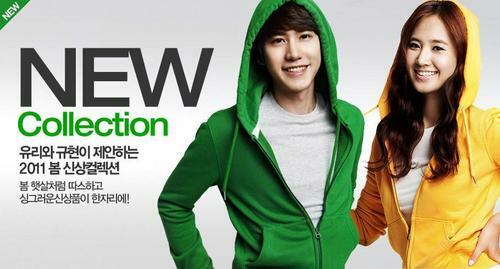 ♥SNSD and Super Junior – SPAO♥. . HD Wallpaper and background images in the 슈퍼주니어 club. This 슈퍼주니어 photo contains 겉옷, overclothes, 겉 옷, 레저웨어, 여가 복, 잘 입고 사람, 정장, 바지 정장, 잘 차려 입은 사람, 양복, and pantsuit. There might also be 후드, 폭격기 재킷, 폭탄 재킷, shirtwaist, shirtwaister, and 셔츠 주인.